Life can be interesting. It is an adventure for sure. I really feel this way with all the moving we have done and will continue to do (being a military family and all). The most interesting part though are all the people I get to meet. People I never would have met otherwise. Last summer, I announced we were moving to the Pensacola area and I received many emails from those of you who live here or have lived here. It was so special to receive so much information about the area in all, but little did I know that I would meet one of those kind people randomly. I was in church a few weeks back waiting in line to pick up my daughter from Sunday School. As I stood there, a lady a few people behind me was like, “Hi! I know you.” I was thinking, where in the world do I know her from because I don’t recognize her?! I think she saw this on my face and said, “You don’t know me though. 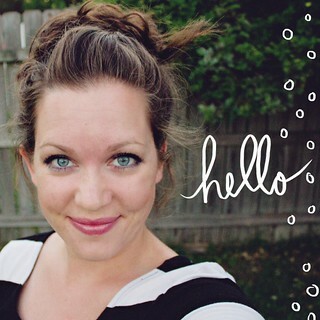 I follow your blog.” We chatted for a minute and I asked her to email me and maybe we could set up a play date with our little ones. Well, she did and it’s been a beautiful and blossoming friendship ever since! In honor of her turning the big 30, I created her this necklace. It’s my favorite so far! It was fun to try and think of how to put it together. I didn’t even know this, but she told me after she received it that butterflies are her favorite because they remind her of how she’s a new creation in Jesus. How neat is that? I am so thankful to the Lord that He let our paths cross. I came across your blog from Cartwheels in My Mind. Just had to comment after reading this post. My brother and sister in law live in Pensacola! He’s learning to fly planes for the Navy. Small world! Your necklace turned out BEAUTIFUL… What a sweet friendship story! Love the necklace! God works in mysterious ways! Glad he brought a new great friendship into your life. SOoo amazing! And the necklace is beyond beautiful! Jess, I love this! 🙂 Very cute! Hope you’re feeling great! Beautiful! And she would know that traditionally the monarch butterfly is seen as a symbol of Christ’s rising. 🙂 Here’s to a beautiful necklace and a beautiful friendship! Jessica! I am so flattered that I git to be part of your posting. I love the way we came to know each other. I think you have a beautiful spirit and am enjoying being your friend. Thank you so much for making my day. I have gotten lots of compliments on the necklace. I try to wear it as much as I can. That is awesome. God is so good. I love how blogs can bring people together. I have had this happen too. Pretty cool! Love your necklace! I also love the reference to becoming a new creation in the Lord! Aww I love those friendships 🙂 I have some amazing friends that I met at Church by chance, because God gave us kids in the same class…Otherwise the thousands of people in my church..how would we have met? I sooo love your creations and style! 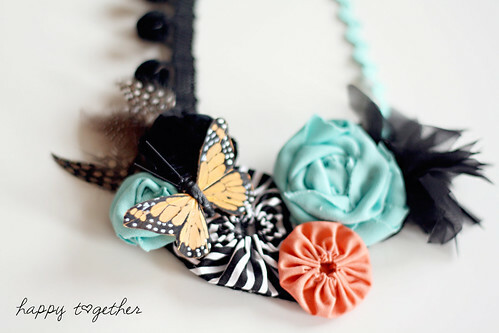 What you do with ribbon and trim is amazing! 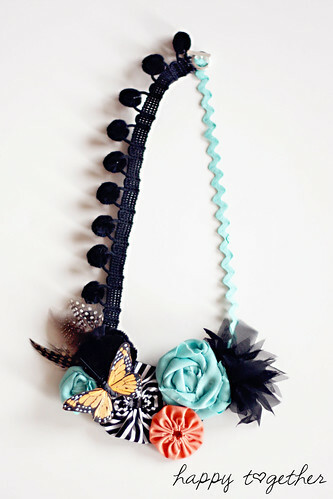 I belong to a ribbon company design team and would love to see you apply for our current DT call. Tell her True sent ya!